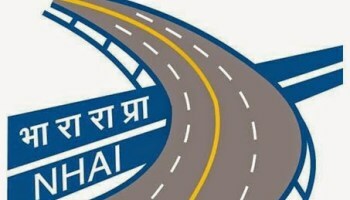 Experience - 9 years’ experience in the Pay Scale of Pay Band-3 (Rs.15,600-39,100) with Grade Pay Rs.5400/- or equivalent or higher out of which 6 years’ experience in implementation of Infrastructure Sectors related to Highways, Roads and Bridges. (iii) with eight years’ service in the grade rendered after appointment thereto on regular basis in the posts in the Pay Band-2 (Rs.9300-34800) with Grade Pay Rs.4800/-. Possessing the essential educational qualification and essential experience stipulated in Column (3).
. A walk-in screening of the candidates (who have submitted their application within the prescribed time period) shall be held at 10:00 AM on 20th February, 2018 for the post of DGM (Tech) & 21st February, 2018 for the post of Manager (Tech) at the respective Regional Office of NHAI. The presence of such candidates shall be mandatory in the said walk-in-screening on the given dates for consideration of their candidature. Therefore the candidates are advised to apply only at one Regional Office of his / her choice. 6. Duly filled-in applications (along with the requisite information / documents) may be sent by Registered/Speed Post, through proper channel, so as to reach latest by 12.02.2018 to the respective Regional Office of NHAI as per Annexure-I. If the candidate anticipates delay in forwarding of his/her application from parent department, he/she should submit an advance copy of the application before the last date prescribed for the receipt of applications and in any case the applications through proper channel alongwith requisite documents must reach on or before the date of walk-in screening at the respective Regional Office.